We hope you enjoyed our coordinating Wooden Horse Wednesday and Flashback Friday posts last week! They recapped 2017 and all the exciting Equicizer Adventures as the year unfolded. A new feature coming out, called Minute Mondays, will link you directly to one of our sponsored "Horseman's Minute" segments on Steve Lantvit's show, Sure in the Saddle. 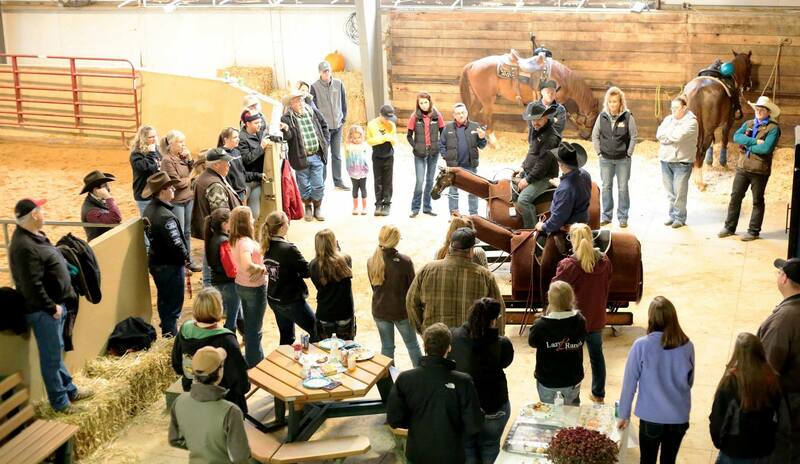 These segments feature Steve giving a quick lessons on horsemanship skills using the Equicizer! Be sure to catch these segments live when you can on RFD-TV! As always, your input and engagement with us is invaluable. We would love to feature a story about you and your Equicizer or even see your photos. Always use hashtag #Equicizer on social media so we can follow along with you on your journey! Follow along with us on our Wooden Horse Wednesday blog for bi-weekly posts (subscribe here). A high quality, all-purpose, contoured riding pad specifically designed for your Equicizer exercises and workout routines. It can be used by riders of any age or size, on the Equicizer or on a real horse. Outdoor all-terrain, extra-wide casters with brake. Heavy-duty wheel casters with a pneumatic-like cushioning that offer a vastly wider load dispersion over soft or rough terrain such as grass or gravel. Steel, adjustable riser stand. Great for teaching proper mounting and dismounting as well as with Polo training.